Necessitea has provided me with Mojito for the purposes of providing an honest review. Mojito came to me from Necessitea in a resealable package. When I first opened the package, I first smelled the mint, and then the black tea base. I definitely smell the orange pekoe and the mint. 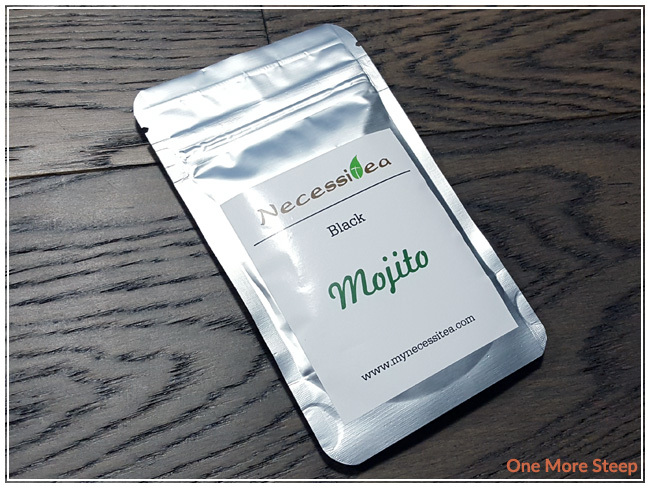 Holly of Necessitea had included a letter with the package and described this blend as being inspired by the mojito drink, to give the option of a virgin tea version of the alcoholic drink (and could be mixed as well). I love the smell of the mint. Mojito is a black tea blend made up of orange pekoe black tea, mint, and lime. The lime is a bit harder to pick out of the tea, but I can definitely smell the mint in there. There were no steeping instructions on the packaging or the Necessitea website, but I did an initial steep at 100°C (212°F) for 4 minutes. Mojito steeps to a beautiful golden orange. The aroma that comes from this tea is richly of mint, with the fragrances of a strong orange pekoe. The tea base comes through and the mint isn’t too overwhelming. I found the lime present in the steeped tea, it just adds a touch of freshness in this tea and it primarily shines through at the beginning of tea sip. 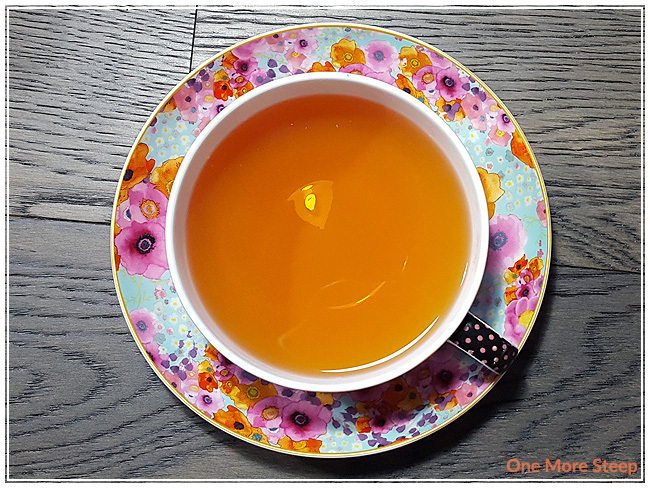 The tea has a slight sweetness to it, but I found it benefited from the addition of a bit of honey (I used a locally harvested clover honey), which helped to amplify the flavours of lime and mint. I resteeped Mojito a couple of times. 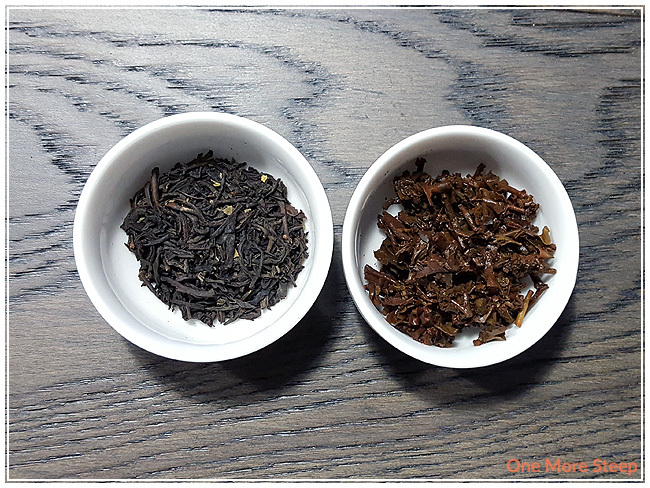 I found the first resteep to be fairly similar to the initial steep, while I found the second resteep to be quite a bit watery. I would say that Mojito would be good for just one more steep. I liked Necessitea’s Mojito. 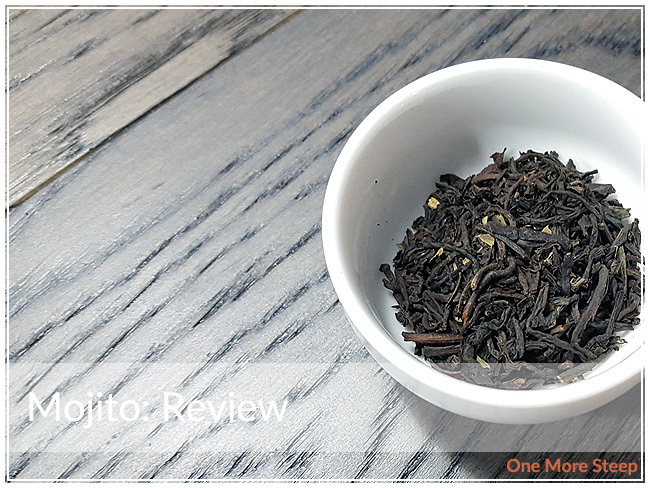 I really enjoyed the mint flavours in this black tea blend, and the freshness that the mint leaves added to the tea. I wish that the lime was stronger, because I feel like it would have highlighted the mojito experience. I really liked this black tea with a touch of honey, and I think it would make an excellent iced tea if it had been hotter weather. 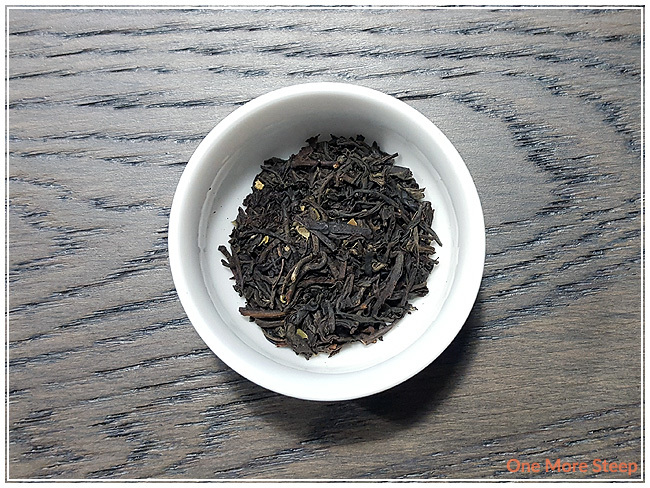 If you like black teas with mint, I think you’ll really enjoy this black tea blend.